The BH H 696 Onyx Programs Supra Upright Bike is ideally designed for home use. 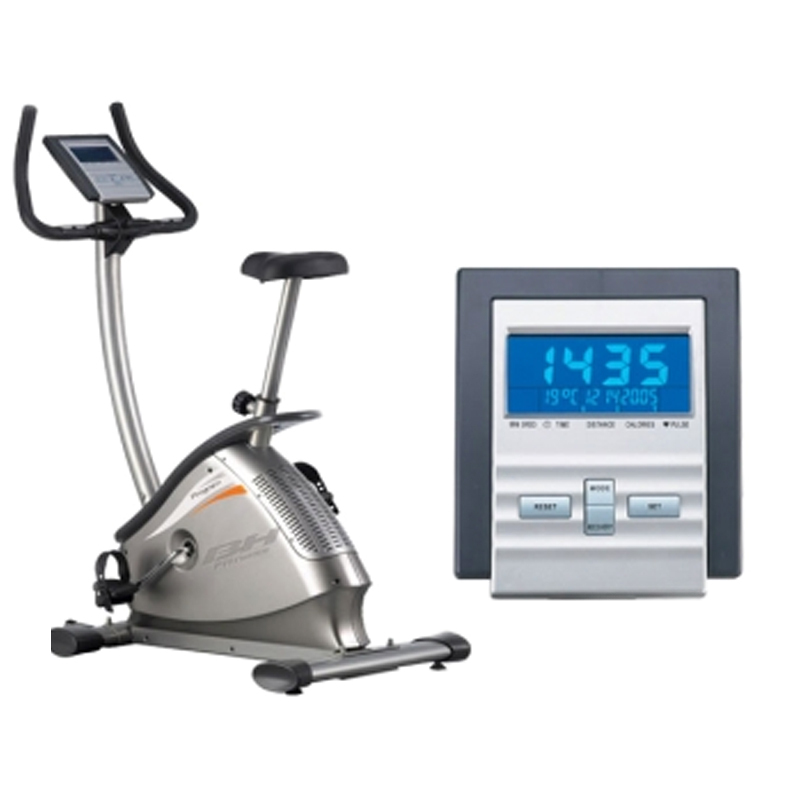 This exercise bike has 16 intensity levels along with an electronic monitor for pulse measurement. It also includes 12 preset and custom programs, which enables you to achieve your fitness goals. Comfort– Its 3 piece crank system offers you a smooth pedalling action, adjustable seat and adjustable handlebar provides you a comfortable workout. LCD Display– Its LCD display enables you to monitor your workout progress. Programs– There are variety of programs, which enables you to get achieve your fitness goal faster. East Storage– The compact nature of this bike, enables you to store ina very small space. Transport wheel is a bonus. The latest cost of BH H 696 Onyx Programs Supra Upright Bike will be updated soon. *Note: Most of the sites, stores or shopping portals listed above sell BH H 696 Onyx Programs Supra Upright Bike with discounts and other exciting offers. There is a possibility that the some of above websites are not selling BH H 696 Onyx Programs Supra Upright Bike now. Toughtrain.com is not liable for such cases or instances. Also we do not recommend any seller for BH H 696 Onyx Programs Supra Upright Bike and a buyer should buy from where he/she gets best deal with quality of products, service and on time delivery (shipment).